The most useful book on our recent Pacific Northwest trips has been The Pacific Northwest Garden Tour: The 60 Best Gardens to Visit in Oregon, Washington, and British Columbia by Donald Olson, published by Timber Press in 2014. 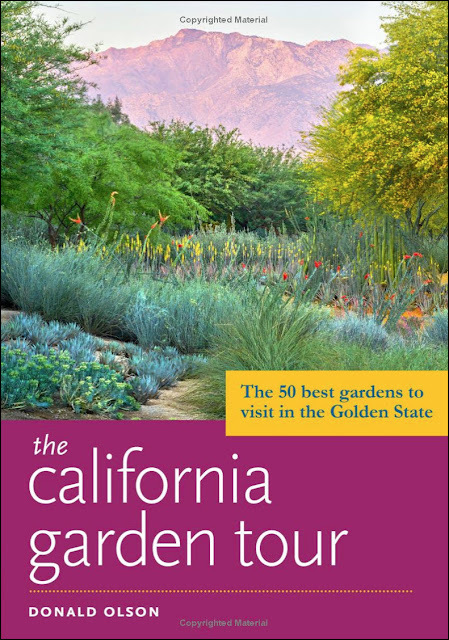 Now Don Olson has written a companion guide for California: The California Garden Tour: The 50 Best Gardens to Visit in the Golden State. Selfishly speaking, the timing couldn't have been better. I'm planning a late-December trip to Southern California, and I've been using The California Garden Tour for inspiration and information. In addition to big names like the Huntington, the Los Angeles County Arboretum and the Getty Center and Villa, Don also takes readers to gardens I'm not familiar with, including Virginia Robinson Gardens, Hortense Miller Garden and Rancho Los Alamitos. I can't wait to explore them in just five weeks. 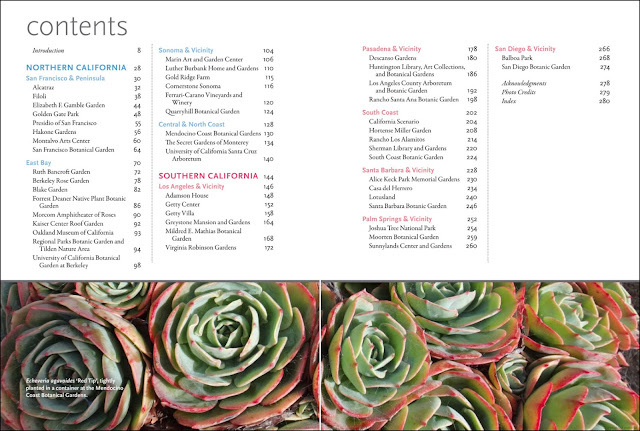 The contents pages below show all the gardens covered in The California Garden Tour. 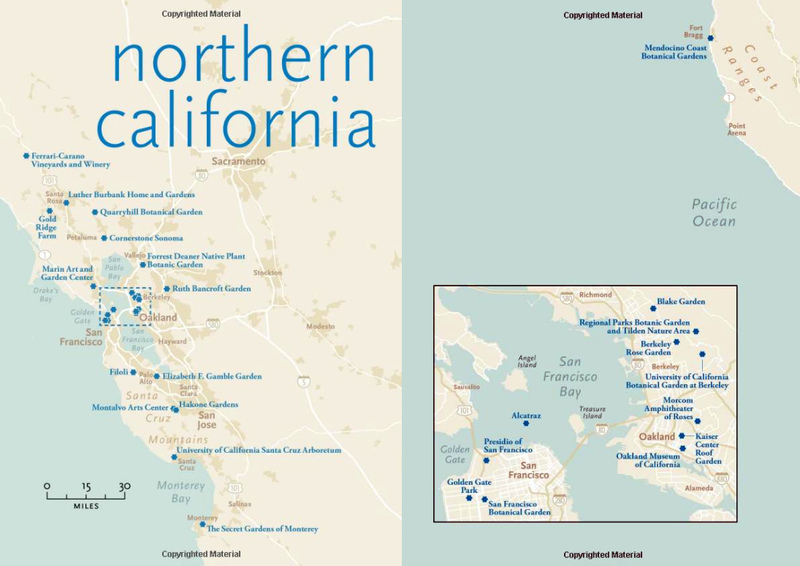 While I've been to many gardens in Northern California (my stomping grounds), there are still seven or eight I've never visited. Ideas for next year and beyond! 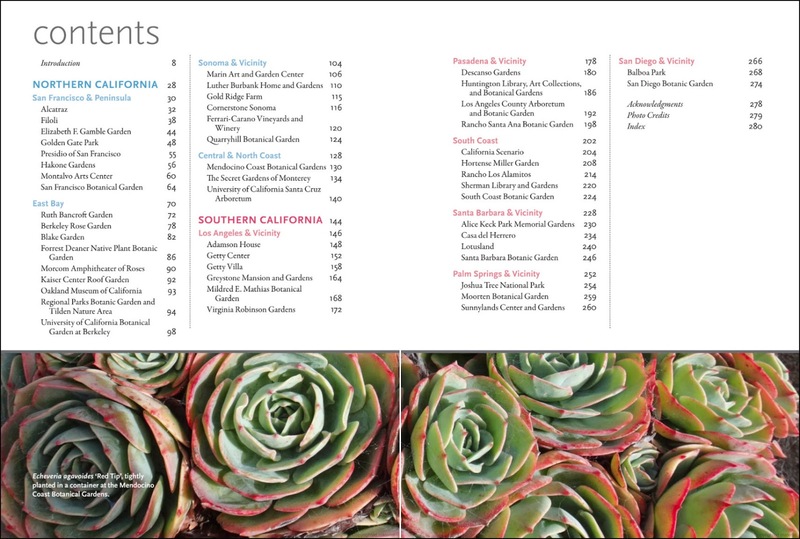 In his well-written 19-page introduction, Don gives an overview of the evolution of garden-making in California, ranging from precolonial to modern times. This, of course, is inextricably tied to the history of California itself. For the native peoples and early colonizers (including the Catholic friars establishing the 21 California missions), plants were primarily grown for food. As the land was settled and its residents began to benefit economically from California's riches, people started to garden for ornamental purposes, sometimes on a large scale. Grand estates were created all over California in the last decades of the 19th and the early 20th century. Many of them have gardens that are open to the public today, including Filoli and the Elizabeth F. Gamble Garden in Northern California, and the Huntington, the Getty Villa and Getty Center, and the Greystone Mansion in Southern California. The bulk of the book is divided into two sections: Northern California and Southern California. Handy maps shows were all the gardens are located. 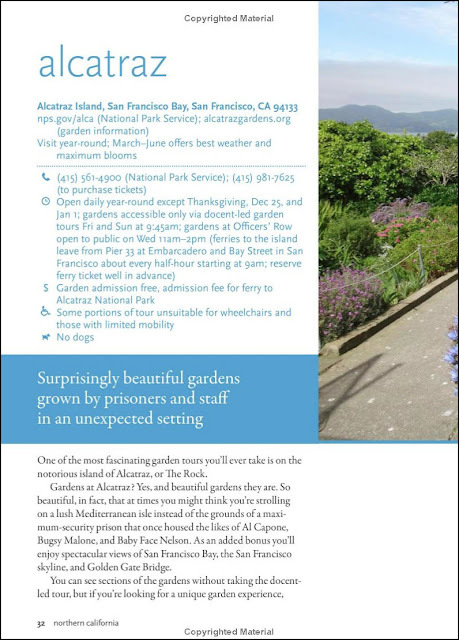 Each garden profile starts with practical information, including the best time(s) to visit. This is followed by an in-depth description of the garden, its history, why it's special, etc. Representative photos, most of them by Don Olson himself, give a sneak peek of what there is to see. 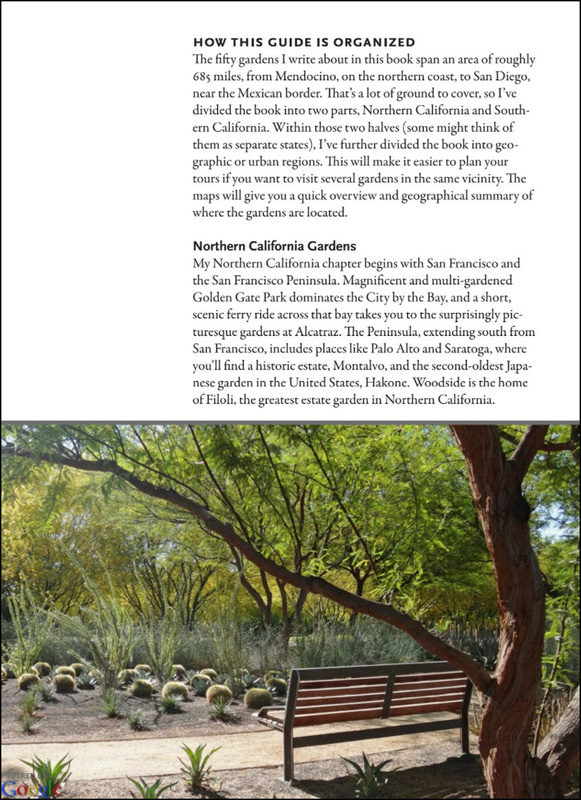 I could go on and on about how wonderful and useful The California Garden Tour (and its Pacific Northwest companion) is, but I think the sample pages above speak for themselves. Both books are available in paperback and for Kindle (easier to take along on a trip). Don Olson's books fill a real niche, and I hope he will continue his travels and write additional Garden Tour titles. Note: Timber Press provided me with a complimentary review copy of this book. All book reproductions above are copyright-protected and are used by permission of Timber Press. That cracked me up! I can't wait to read your take on the book. I think Don Olson has perfected his formula. I hope the book told you that you can't actually walk in the rooftop cactus garden? It's absolutely gorgeous, don't get me wrong, but only admirable from a distance... The rest of the Getty gardens are beautiful as well - enjoy your trip! 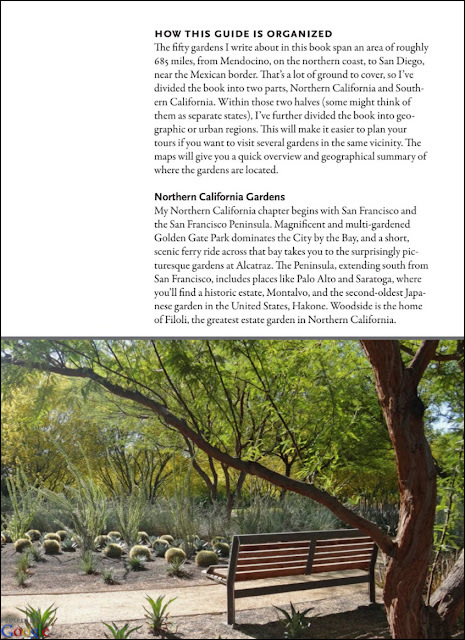 Yes, the book says that you can only view the cactus garden from a distance. 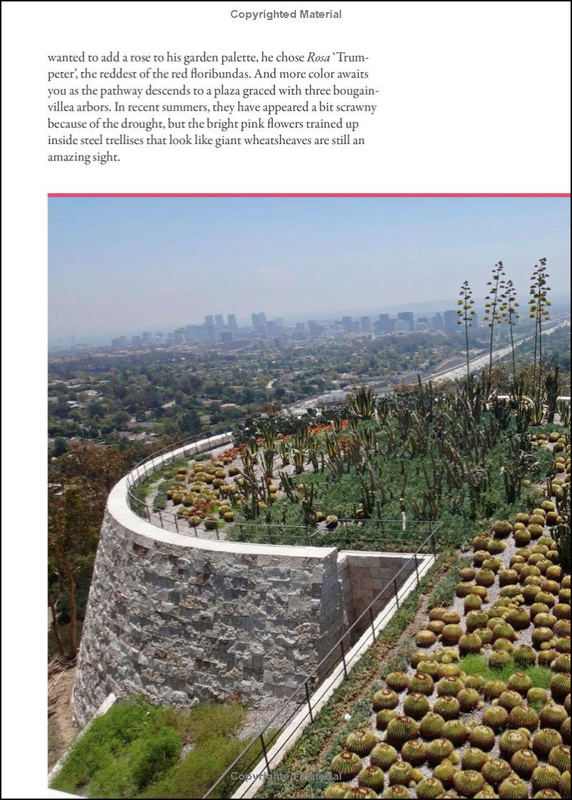 Don Olson also raves about Robert Irwin's Central Garden. I can't wait. I hope you are luckier than I and can actually walk in the Central Garden. It had rained the day before we visited in they closed the garden to keep wet feet out of the galleries. I picked this book up earlier. 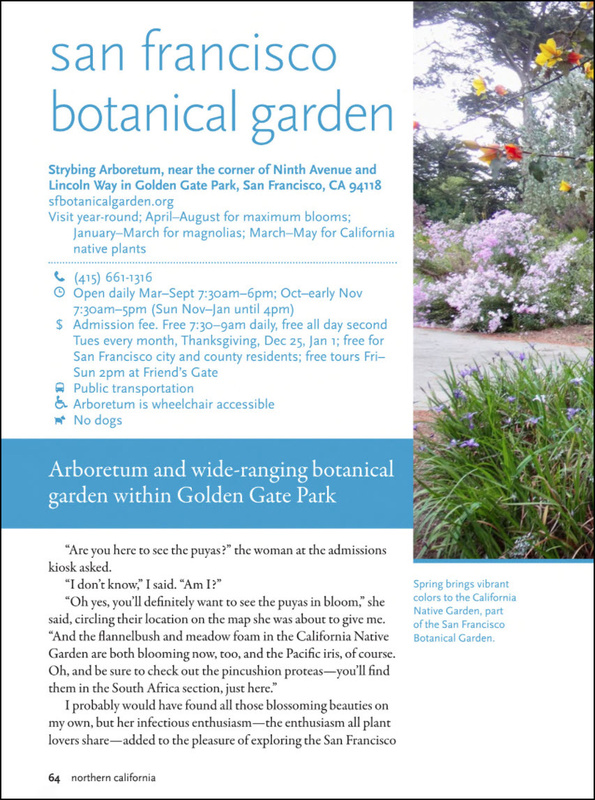 I've been meaning to get to the Hortense Miller Garden for years - maybe I'll finally make it there in 2018. Sherman Gardens is small but definitely worth a visit (and, btw, it's only about a mile from Roger's Gardens, a "destination garden center" in Corona Del Mar). Be sure to check that The Getty's garden is open before you drop in - I've never been locked out but I know others have been (due to widespread work in the garden or weather). I didn't know Roger's Gardens was so close to Sherman Gardens. Even better!!! Denise, would love to meet at the Sherman Gardens. I'll drop you an email. The UCI Arboretum with all its Aloes and South African bulbs was well worth seeing, though sadly they've closed the garden to the public--now it's just for "research". Too bad. A good reminder to see them while you can...gardens are ephemeral things. I didn't know about the UCI Arboretum. Is is closed off? Or can you still sneak in? This is definitely a book to take along on my next visit to California. Funny to think that I lived 6 years there and went to Roger's Gardens many times but never the Sherman Library. 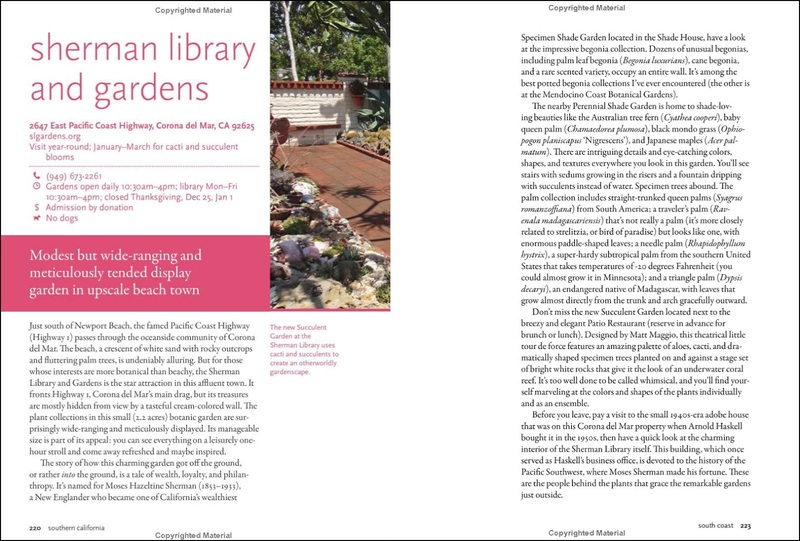 We didn't even visit when were were there on a winter trip some years ago-but did get to many of the gardens in the book, including the fabulous Huntington. I need to talk to D about getting back to California. I know how it goes. I also tend to ignore destinations closer to home, thinking that I could go anytime--except I never do.